As a leader in LTPAC technology, MatrixCare makes it a priority to attend a variety of tradeshows and industry events throughout the year. Attending these senior living events allows us to stay on top of both current and emerging trends while also offering our expertise and advice on topics relevant to the industry. Stop by our booth or head to one of our informative presentations at these leading senior living events throughout 2017! Keep watching the Events section of our website, too, as more tradeshows and conferences will be continually added! Senior Living 100 takes place this March at the Ritz-Carlton Golf Resort in Naples, Florida. This prestigious event brings leaders in senior living together to discuss the changes facing the industry; attendance is exclusively for C-level executives from CCRCs, independent and assisted living communities, as well as select product and service companies. The Argentum Senior Living Executive Conference is a must-attend event for those in the industry who wish to learn about and share solutions to both current and future issues in senior living. Head to Nashville this May to join 2,500 executives from across the nation and enjoy networking, educational sessions, and problem-solving breakouts. The mission of Florida Argentum is to raise the bar for operational excellence and serve as the voice for senior living providers in the state of Florida. The Florida Argentum Senior Living Conference is held at the J.W. Marriott Marco Island resort in late July, providing attendees with the opportunity to participate in a variety of educational and interactive training sessions, and network with colleagues, exhibitors and other professionals in the senior living industry. SMASH is the leading sales & marketing summit in the senior care industry, bringing together like-minded individuals to work together and hear from experts. In 2016, over 30 sessions were held over the course of two and a half days, providing attendees helpful information such as how to reach prospects at the right time while presenting a clear and concise message that connects to potential customers. It’s a must-attend event for senior living marketers! SMASH takes place Fall 2017 at Loews Chicago O’Hare. Mark the calendar for the 68th Annual AHCA/NCAL Convention and Expo, held in October in fabulous Las Vegas! 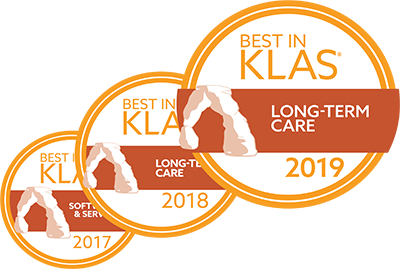 This senior living event allows thousands of long-term and post-acute care professionals across the nation to gather ideas, share creativity, innovations and solutions with the goal of increasing quality and efficiency while reducing costs. The LeadingAge EXPO is known as the largest, most exciting and innovative senior living tradeshow in the industry. Attendees enjoy a three-day glimpse into the latest possibilities that allow seniors to thrive in the communities they call home, plus provides the ideal place to showcase the latest products and services to thousands of industry leaders. More to come on this major senior living event, which kicks off in late October in New Orleans, Louisiana.